The world’s most popular adult video entertainment website, Pornhub is serious about its music ambitions. After producing a hit music video by American rapper Mykki Blanco called ‘Loner,’ Pornhub is now gearing up for the release of its next music video called ‘Snap That’ Just this morning, Pornhub Records released ‘Snap That,’ the first song ever written about Snapchat. It’s another Digital Music News exclusive! Pornhub’s foray into music started in late 2014. It launched a music service called Pornhub Records with a splashy announcement featured a song contest to create the Pornhub anthem, with producer Scott Storch evaluating the entries. With Loner getting nearly 300,000 views on YouTube and appreciated by all and sundry, Pornhub is now trying to repeat the success with Snap That. 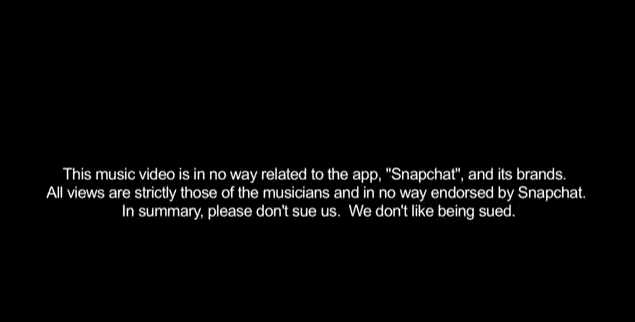 Pornhub ‘Snap That’ is a parody song ever written about Snapchat however, the NSFW site has given a big disclaimer that it does not berate Snapchat. With this release, Pornhub has become a fast-rising force, with smart bands and artists jumping on board. The music video is by F.A.M.E., a party band of former LMFAO member Red Foo. The group says their upcoming track, ‘Snap That,’ is the first song ever written about Snapchat. Pornhub is looking for big releases in 2017 according to Corey Price, VP, Pornhub“We’re excited to work with F.A.M.E., and debut their music video for ‘Snap That’ And, help continue their ascension toward superstardom,” says Price. Pornhub has already signed a million dollar deal with ex-Fifth Harmony singer Camila Cabello last week and has released singles from Coolio and Waka Flocka Flame. In 2017, Pornhub Music will see releases from Wheeler Walker Jr.